Looking for any Branded Micro-Fibre Pillow? Try this Recron Fiber Dream Pillow. It has Hollow Siliconized Microfibre which gives feelings like a Soft Teddy. You must get pleasure during sleeping at night by using this pillow. 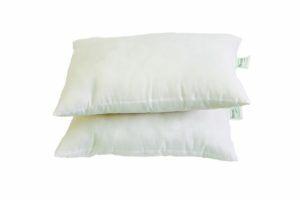 Amazon is selling Recron Fiber Dream Pillow – 40 x 60 cm, White, 2 Piece at Rs 375 only. It’s a lightning deal. So, Hurry up!! How to buy Recron Fiber Dream Pillow – 40 x 60 cm, White, 2 Piece at Rs 375 only?